Wardrobe management is one of the favourite parts of my job. I love working in a client’s wardrobe, helping them to create order from what was often chaos! I work with them to filter out the clothes that no longer serve them or their lifestyle. This is because they are possibly the wrong colours or style for their body. Or they could be old, dated &/or seen better days, or because they have never been worn! I usually combine a wardrobe management session with a colour analysis, so that we can be sure, we keep all her flattering colours. This also allows me to be mote ruthless with the colours that don’t suit her. What happens during a Wardrobe Management Session? I work methodically through the garments, deciding what can stay and what would be better going somewhere else. This is all done in consultation with my client as I have to respect her reasons for buying the clothes initially. It is in fact a great honour to be allowed into someone else’s wardrobe. My ultimate aim is to leave the client with a wardrobe of clothes that she could wear the next day. Therefore, we filter out all the wrong weather season clothes (see below) and store them somewhere else if possible. She may also want to store some clothes that don’t currently fit her. The definite yes pile – clothes to keep. 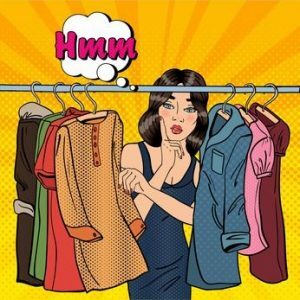 The give away or sell pile – good quality, new or barely worn clothes that will suit someone else much better! Give to friends/family or sell on Ebay or in a dress agency. The charity/recycling pile – worn garments that she wishes to donate. During this process, we will probably find some “gaps” and these items will go onto a shopping list. In most cases I will then take the client shopping to help her find these clothes and accessories. When we have completed the wardrobe management session the clothes will be organised to garment type. This will make make outfit creation much easier for her. She will be able to see all the clothes that are relevant to her current lifestyle and the time of year. Most clients have a wonderful sense of relief and excitement at the opportunity to “play” in their wardrobe knowing that everything in there will suit them. N.B. In this post I have assumed that I am working in a female client’s wardrobe. Wardrobe management sessions can also be done in a man’s wardrobe, but be aware of safety issues. As I mentioned earlier, if possible try and keep relevant clothes in your wardrobe at all times. Therefore, for those of us living in a temperate climate there is no need to have shorts, flip flops and sundresses taking up space in our wardrobe in the depths of winter! So twice a year I swap my summer and winter clothes. I have 2 zip bags (from IKEA) that I use and keep them out of the way on the top shelf of the wardrobe. You could use a space saver vacuum pack bag if space is at a premium and store in the loft or under the bed. This also means that you get the chance to evaluate your clothes at least twice a year. Did you wear everything you are packing away or could some of those items go to a charity shop, friend or Ebay? There are many items that we will wear all year round, but for those items that are obviously seasonal this process is a great way to keep your wardrobe fresh. AND it makes it a lot easier to find things! 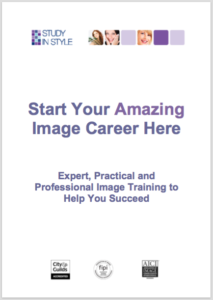 Wardrobe Management training is included in all the Study in Style Training Courses. 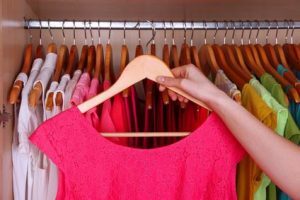 If you would love to work in people’s wardrobes, helping them to feel confident in their clothes, give me a call and find out how easy it is to train.